Before we kick off this guide, I’d like to give you some reasons why I think that it’s a good idea to buy a used car instead of a new one. If you’ve already made this decision, you can go straight to part 2 of this guide to learn how to choose cars to buy second-hand. The key difference between used and new cars is their price. New cars are very expensive, while used cars can be surprisingly cheap. Let me give you an example. Imagine that you have a budget of £10000 to spend on a car. A brand new Renault Twingo (base model “Expression”) would cost you £9995 at the time this article was written. For this price, you would get power steering, electric windows (front only) and four airbags. I’m sorry, but air-conditioning is an optional extra and sadly outside of our budget. … you could also get it for £8500, which is £1500 cheaper than the Twingo (based on a real eBay listing: 2009 CLS 320 CDI, 90000 miles, HPI clear, Mercedes-Benz service history, comes with a 12-month warranty). Okay, but what about fuel economy? The Renault Twingo has a three-cylinder engine that delivers 70 PS and gets around 45 MPG in the real world. The Mercedes-Benz CLS-Class has a V6 diesel engine that delivers 224 PS and gets around 35 MPG in the real world. I think we can agree that 35 MPG is not too bad considering that the Benz has three times more power than the Twingo! I’m sure that some of you would happily trade 10 MPG for the sound of a V6 engine. Fine, but what about car maintenance costs? The Mercedes-Benz CLS-Class can be an expensive car to maintain. That’s a fact. However, if you look it up it in the Car Directory, you will see that the 2009 models, like the one mentioned in this article, do not have the problematic SBC. You will also see that cars without Airmatic suspension (just like this one) are cheaper to maintain. You will learn about oil cooler leaks in the OM642 V6 diesel engines and the recall that followed. Armed with this knowledge you could call a Mercedes-Benz dealership to find out if this particular car already had the seals replaced. If it hasn’t, here’s an argument to reduce the price of the car further. The point I’m trying to make is that knowledge is power when it comes to buying used cars and this website aims to be your guide. Okay, enough with the self-promotion, let’s crack on. I’m not going to deny that even the most basic Mercedes-Benz model cannot match the Renault Twingo in terms of car maintenance costs. However, in the example above, we’ve already eliminated some of the most expensive maintenance items (SBC, Airmatic, oil cooler seals). Also, all Mercedes-Benz engines have timing chains that should not require any maintenance at 90,000 miles (unlike a timing belt). Besides, you’ve still got £1500, which should easily cover the first year of maintenance even if you buy a car that has some problems. However, If you inspect the vehicle thoroughly before the purchase and buy one in good condition, the £1500 would cover the first two years. With some luck and effort from your side (shopping around to find the best prices on car fluids and parts, doing some of the car maintenance work yourself), you could stretch it to three years. Now, let’s say that you want to sell your Mercedes-Benz CLS after three years of ownership. You should be able to sell it for around £5500, which means that you would lose £3000 due to car depreciation. 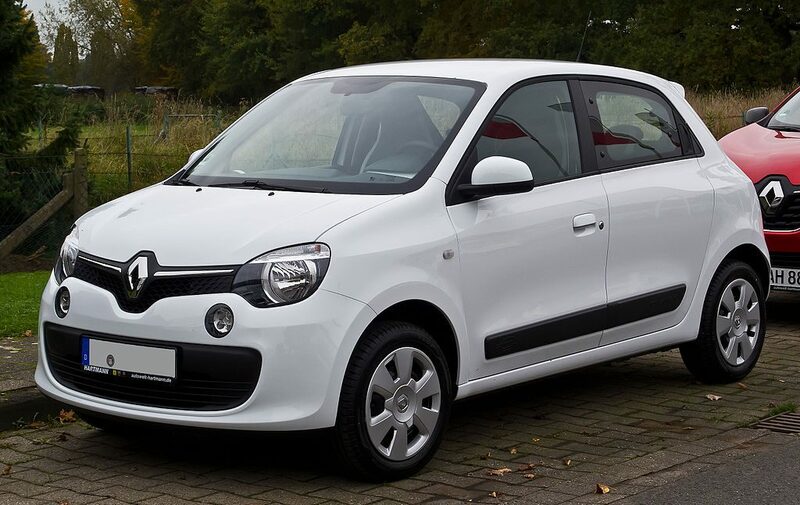 If instead of the Mercedes-Benz you had bought a brand new Renault Twingo, its resale value after three years would also be around £5500. It’s just that in this case, you would lose £4500 due to depreciation because you had paid more in the beginning. High depreciation is the biggest disadvantage of buying new cars. As soon as you leave the dealership parking lot after purchasing a new car, it loses around 10% of its value. On average, a new car loses over 20% of its value in its first year and then 15% on average every year. Pretty dramatic, isn’t it? This is still a reasonably optimistic assumption. 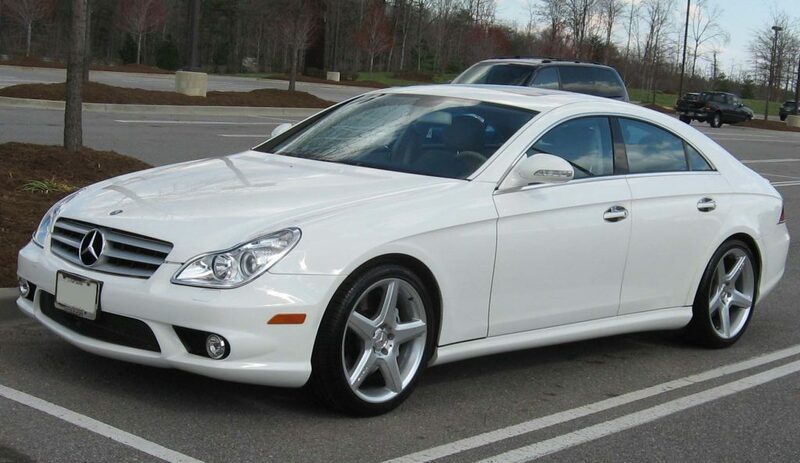 Luxury cars, like the Mercedes-Benz CLS, can lose even 30% of their value during the first year. 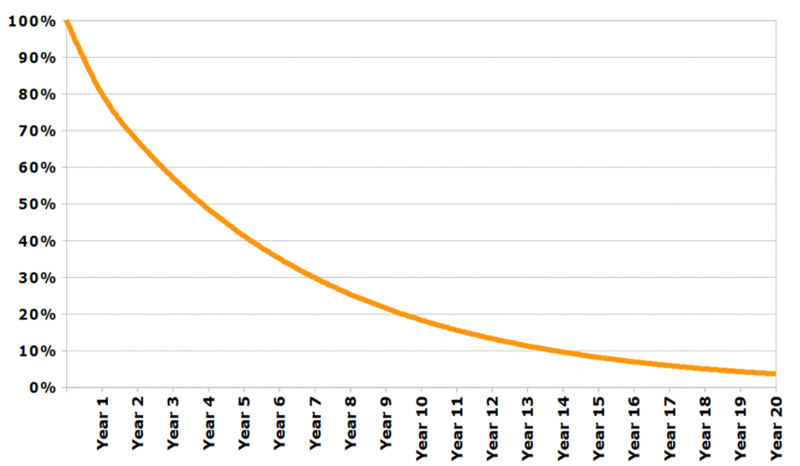 As you can see, the curve on the car depreciation graph starts to flatten after 10 years. If avoiding depreciation is your primary goal, you could buy a 12-year-old vehicle, drive it for 3 years and then sell it with a minimal loss of value. The older the vehicle the less you lose due to depreciation. This is a bit of an extreme approach, and I do not recommend it unless you’re capable of doing most of the car maintenance yourself. Unfortunately, modern cars are becoming increasingly more complex. Therefore, for most people, I would recommend buying cars that aren’t older than 10 years. More will be explained in part 2 of this guide. The main advantage of buying a used car is a much lower depreciation rate, which is usually the single biggest cost of car ownership. When you buy a second-hand vehicle, you can get a much better car for your money (Mercedes-Benz CLS vs Renault Twingo). If you know exactly which car model you want, you could save a lot of money by buying it used. For example, if you really like the Renault Twingo, you could be the person buying it for £5500 when it’s three years old. You could even get a better-equipped model for £6000 – one with alloy wheels and air-conditioning! By purchasing the Twingo second hand, you could save £4000 and drive a better-equipped model. Sure, you might need to take the car to a garage to do some basic car maintenance such as engine oil, filters, or maybe a set of tires. However, it’s still a massive saving, and it isn’t that difficult to find a three-year-old car that looks nearly as good as new. The biggest fear that people have is that they will buy a lemon, which is going to cost hundreds or thousands to sort out. True, it can happen, but it’s the worst case scenario and there are things that you can do to protect yourself. It also depends on your choice of the car. Don’t expect a twin-charged, direct injection, plug-in hybrid with an 11-speed, triple clutch transmission to be a reliable second-hand car! Used cars almost always require some initial maintenance (consumable items like engine oil, filters, tyres etc.). If you’re not careful, the car you buy may require more substantial repairs (worn-out parts, signs of corrosion etc.). Wear may start showing up (interior wear, dents, scratches etc.). Used cars may not have the latest features and technology. They may be less safe (depending on their equipment and age). Used cars don’t have that “new car” smell. As for the first two points, you should always set some money aside to do the essential maintenance work as soon as you buy the car, as well as to cover any potential repairs. Once you finish reading this guide, you will be in a good position to buy a decent car without hidden flaws. The safety and the features of a car depend greatly on the model you choose, as shown with the Renault Twingo and the Mercedes-Benz CLS. Personally, I’d much rather be sitting on the leather seats in the air-conditioned Benz in the event of a car crash. Well, you could do that but the overall cost of the car would be a lot higher than when just paying with cash. The £9995 Twingo after adding the interest incurred over 5 years of financing becomes a £13000* Twingo. You could buy two second-hand Twingos for this – drive one yourself, give the second one to your significant other and still have £2000 left! I think that it’s important to understand that buying a car is not an investment. Cars are depreciating assets and the more you spend, the more you are going to lose. This is unless you buy a classic car that appreciates in value, but that’s a topic for another time. New cars are already expensive, and when you buy them on finance, or when you lease a car, they become even more expensive. I am sure that you’ve noticed by now that I am biased towards used cars (I’ve had more than 10 already). Please keep in mind that it’s just my personal opinion and it does not have to be the right choice for you. However, I believe that in most cases you could save a lot of money by buying a second-hand car instead of a new one. And this is my message here. Hell, if money is no issue then get yourself a brand new Mercedes-Benz CLS for £65000 and enjoy it! If you found this article useful, please share it with your friends!